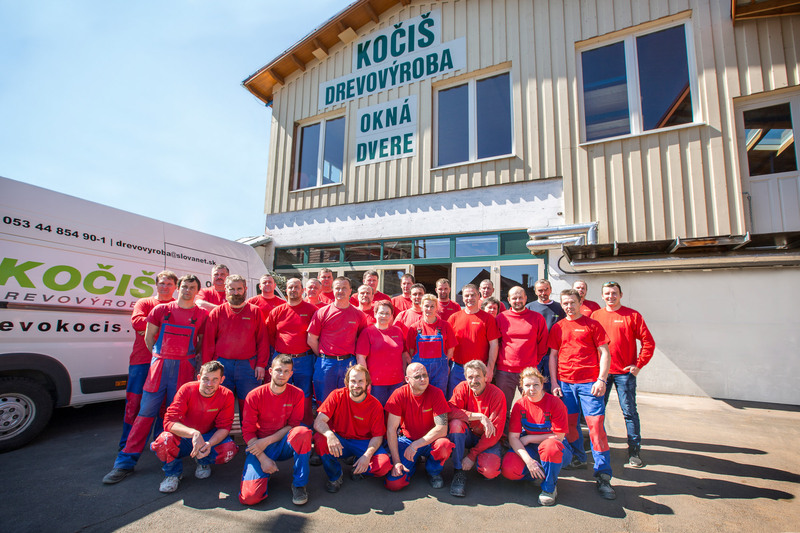 Company Drevovýroba Kočiš ltd. was founded in 1996 by Anna and Imrich Kočiš. The company transformed itself into a limited liability company in 2009 with the gradual expansion of premises and the acquisition of the technological equipment. Many innovative changes predominantly in the production process have taken place within the company since its founding. Continuous upgrading of technological equipment and expansion of the operational spaces have increased the efficiency and quality of the finished products. The selection and training of the employees is the key to maintaining good manufacturing practices and more modern technologies. In the course of its existence, the company Drevovýroba Kočiš ltd. has met with a high level of satisfaction of its clients in Slovakia, but also abroad. The company is the largest employer focusing exclusively on the production of wooden windows, wood-aluminium windows, doors, sliding walls, etc. in the village of Žehra and its surroundings.